For both children and parents, kindergarten marks the beginning of many changes. A roller coaster of being anxious, worried, excited, and unsure are the usual feelings that accompany this big step. For Ellie Whitfield and her family, though, those emotions were pushed aside when she was diagnosed with acute lymphoblastic leukemia (ALL) just months before the start of school. With a brave face and strong parents keeping her reassured, Ellie persevered and began kindergarten in 2013. Of the changes to their family, Ellie’s father, David, says Ellie’s illness has affected them all. “Our other two children are only two- and three-years-old, so balancing our time between their needs and Ellie’s treatments has been difficult on us all,” he comments. At a time when it felt like the illness was the center of their lives, the Whitfields were offered their first glimmer of hope while speaking with a social worker at the hospital. Over the last several years, Believe In Tomorrow has developed a strong relationship with Inova Children’s Hospital in Falls Church, VA. The social workers there have come to understand the families that are most appropriately suited for our programs, and that’s how the Whitfields learned of Believe In Tomorrow’s respite housing program. When they were offered the opportunity to spend a week, free of charge, at the Children’s House by the Sea in Ocean City, MD, they jumped at the chance to get away. “We would never have considered the trip if it weren’t for Believe In Tomorrow. Taking a vacation with three children is one thing, but going away with a child battling cancer is nearly impossible. Through all the amenities and assistance from the volunteers at the Children’s House by the Sea, they really had thought of it all,” notes Ellie’s mother, Jennica. 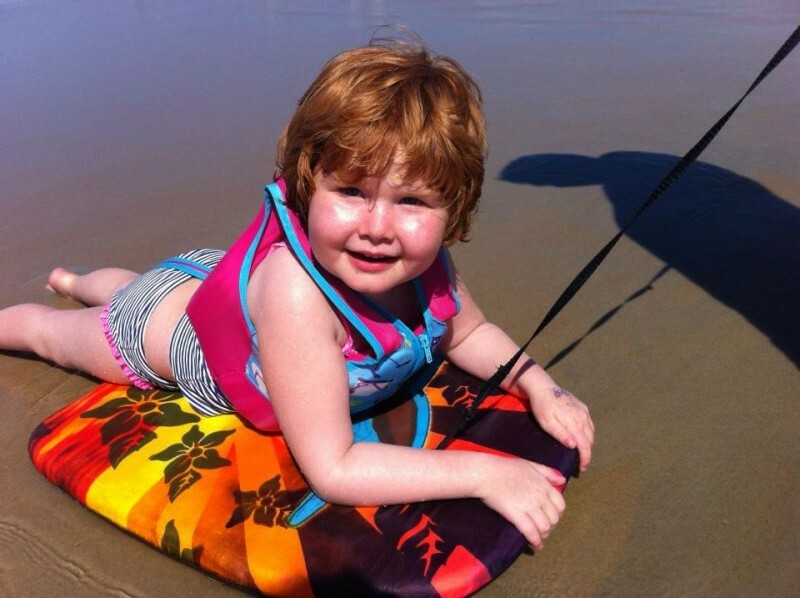 Their trip to Ocean City was new for Ellie’s brother and sister, and it was the first time the entire family was able to visit the beach together. Ellie particularly enjoyed the complimentary crab dinner aboard Hooper’s floating boat-restaurant – a treat available to all families staying with Believe In Tomorrow in Ocean City. Ellie’s brother was thrilled to take his first boat ride ever, aboard the U.S. Coast Guard Cutter, thanks to our friends at the Coast Guard in Ocean City. 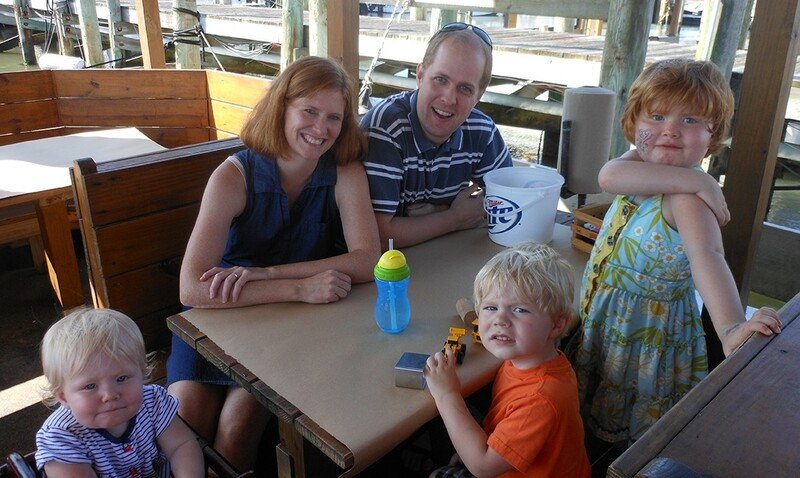 When their week at the beach was over, the Whitfields returned to their home in Annandale, VA. While reflecting on the great memories they had from the trip, the family wasted no time in devising a way to give back to Believe In Tomorrow. By the time Ellie had started kindergarten, she had lost most of her hair and was wearing hats to school. One of her teachers noticed her affinity for fun and cheery hats and began a hat drive to help grow Ellie’s collection. Remembering how much of a difference the hats made, they helped to collect hats for other Believe In Tomorrow children. Since then, they have donated countless hats that can be found in most of our facilities. The hats received at the Children’s House at Johns Hopkins are added to our treasure chests that are stocked with toys and games, and it doesn’t take long before all the children at the facility are sporting new caps and knitted hats! Believe In Tomorrow understands that the consequences of a critical illness last well beyond a diagnosis, and we offer our services all the way through treatment. When we recently reached out to local families about the once-in-a-lifetime opportunity to fly aboard a DIRECTV blimp through our Hands On Flying program, we were more than happy to see Whitfields again. David and Ellie drove up from Virginia and joined us on May 30th in Westminster, MD. They were preparing for the final stretch in Ellie’s active treatment that is scheduled to end on July 30, 2015. With her last of many spinal taps a week away, the Hands On Flying experience came at just the right time. 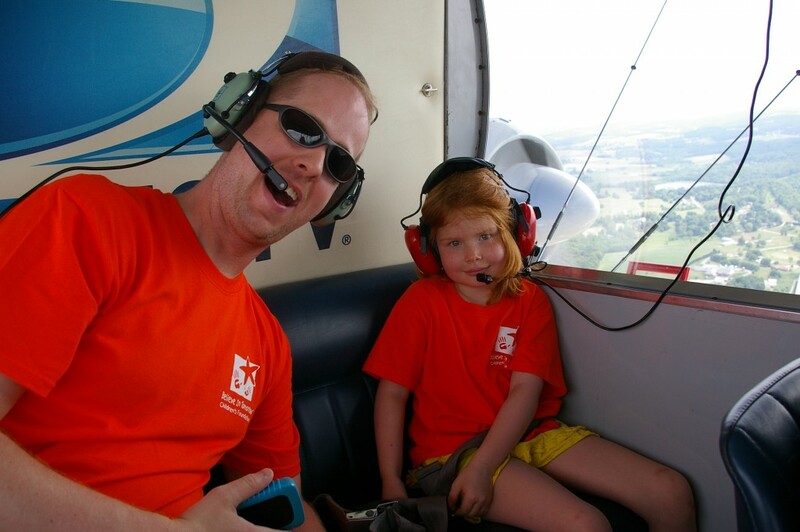 On a beautiful day, Ellie and her father soared thousands of feet over the scenic foothills of Western Maryland. Given the stressful situations families are facing, it’s no surprise they develop strong relationships with Believe In Tomorrow. However, the outpouring of support and appreciation we receive from families constantly reminds us of the importance of our programs – the importance of looking past today’s troubles and believing in tomorrow.